As we approach the season of Lent, we do well to think about the battle with our passions. 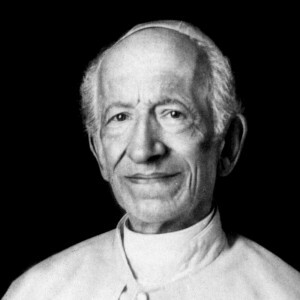 In the quotation below from Pope Leo XIII (1878-1903), notice that he presents this battle not in terms of anything inherently evil about the passions, but in terms of the freedom to do good. That should be our focus as we think of what we will “give up”: true freedom. By calming the passions nature is largely restored to its pristine dignity. For man has been born under this law, that the mind should rule the body, that the appetites should be restrained by sound sense and reason; and hence it follows that putting a curb upon our masterful passions is the noblest and greatest freedom. Moreover, in the present state of society it is difficult to see what man could be expected to do without such a disposition. Will he be inclined to do well who has been accustomed to guide his actions by self-love alone? No man can be high-souled, kind, merciful, or restrained, who has not learnt self conquest and a contempt for this world when opposed to virtue. And yet it must be said that it seems to have been pre-determined by the counsel of God that there should be no salvation to men without strife and pain. Truly, though God has given to man pardon for sin, He gave it under the condition that His only begotten Son should pay the due penalty; and although Jesus Christ might have satisfied divine justice in other ways, nevertheless He preferred to satisfy by the utmost suffering and the sacrifice of His life. Thus he has imposed upon His followers this law, signed in His blood, that their life should be an endless strife with the vices of the age. What made the apostles invincible in their mission of teaching truth to the world; what strengthened the martyrs innumerable in their bloody testimony to the Christian faith, but the readiness of their soul to obey fearlessly His laws? And all who have taken heed to live a Christian life and seek virtue have trodden the same path; therefore We must walk in this way if We desire either Our own salvation or that of others.